Pamplin Media Group - Let there be light! 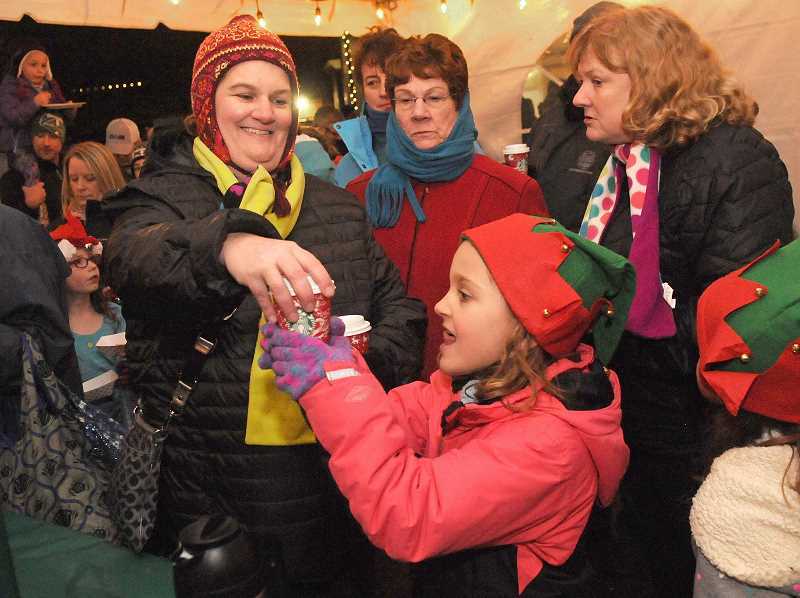 If you ask West Linn Recreation Coordinator Terri Jones about what makes the annual Community Tree Lighting event special, she points to the residents who attend every year. "People see friends, and it's become a tradition for many families — like to have the same picture with Santa every year," Jones said. "And it's close to home; it's the community." The 17th annual tree lighting will begin at 6 p.m. Friday, Nov. 30 at West Linn City Hall, and it features all of the usual sleigh bells and whistles. 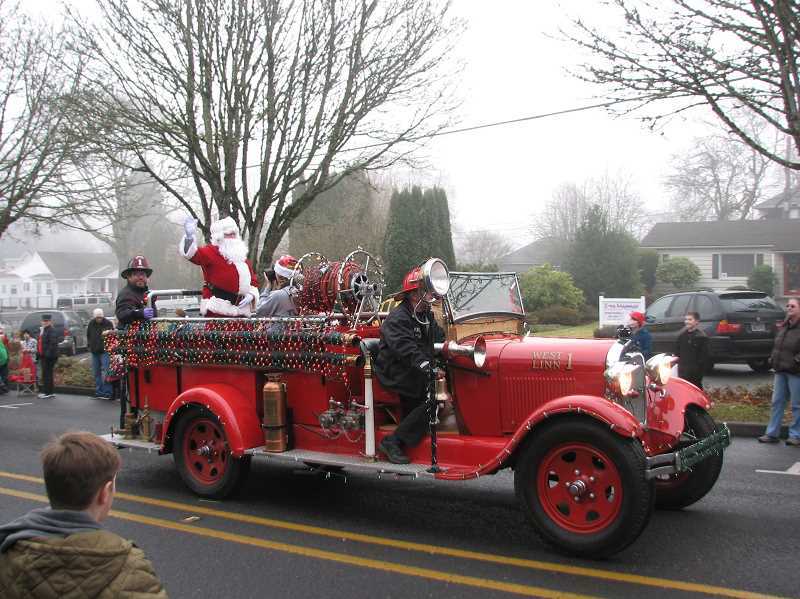 Santa will arrive atop a Tualatin Valley Fire & Rescue Engine around 6:15, and the tree lighting will take place shortly thereafter. Cookie decorating, craft activities and visits with Santa will also be available for children after the lighting. "We're doing a 'nature craft' this year — a pine cone wild bird feeder. Kids can make those," Jones said. "We always try to have at least one craft or activity, and this year I think we'll have three different ones — things even for very young children. And then there's the cookie decorating like we always have." Starbucks will provide free beverages, and cookies aren't the only food that will be offered at the event. "Something that might help people if they're running late (is), one sponsor is providing (free) hot dogs," Jones said. "So if they don't have time to get dinner before (this is an option)." The West Linn Food Pantry will accept non-perishable food items and new, unwrapped toys during the event. Gifts for teenagers are especially needed, according to the City. The holiday celebrations don't end with the tree lighting. Just a week later, on Saturday, Dec. 8, the City will host its annual Ugly Sweater Dash and Holiday Parade down Willamette Falls Drive. The Ugly Sweater Dash — which features both a 1-mile dash/stroll and a 5K walk/run — begins at 9 a.m. at the fire station on Willamette Falls Drive. Commemorative mugs will be given out to the first 300 walkers and runners, and baby strollers or pets on leashes are welcome. Participants are also asked to bring a donation for the West Linn Food Pantry. To learn more or register for the Ugly Sweater Dash, visit https://westlinnoregon.gov/parksrec/ugly-holiday-sweater-dash. The parade, meanwhile, begins at 10 a.m. and has a "Welcome to Whoville" theme this year inspired by Dr. Seuss's "How the Grinch Stole Christmas." The route runs along Willamette Falls Drive between 10th Street and 14th Street. Pre-registration for the parade is preferred, but day-of registration and check-in will be available starting at 9 a.m.
Jones said she had less than 10 registrations in hand as of Nov. 20. "A lot of people register the day of," she said. Santa will be on hand for visits at the fire station after the parade, and hot cocoa, cider and cookies will also be provided. Parade attendees can also bring a new, unwrapped toy for local kids in need. To learn more or register, visit https://westlinnoregon.gov/parksrec/holiday-parade. Through Dec. 31, every day from 4 to 9 p.m., residents can also enjoy the popular Lighting of Maddax Woods. 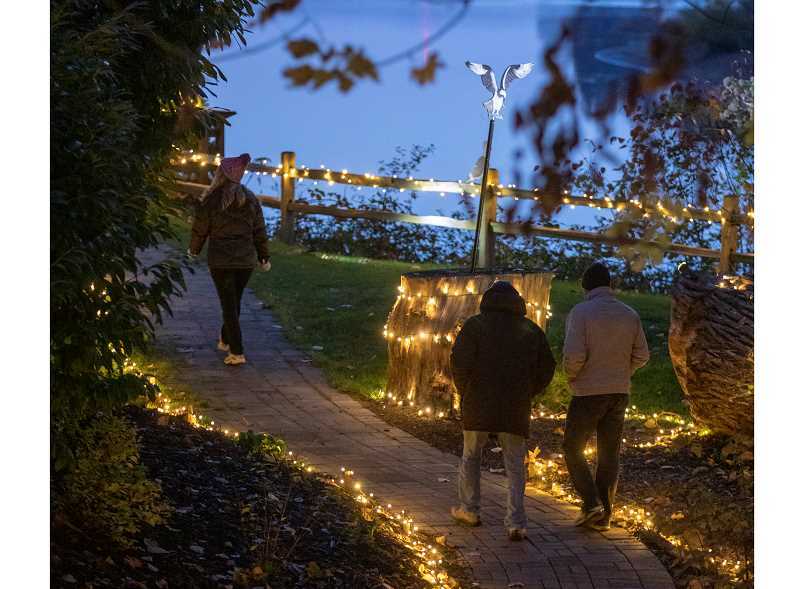 The event features holiday lights in a famed natural area along the river, and attendees can also search for the many "creatures of the woods," learn about boat building that was done by Virgil Maddax and visit Dorothy Maddax's garden.